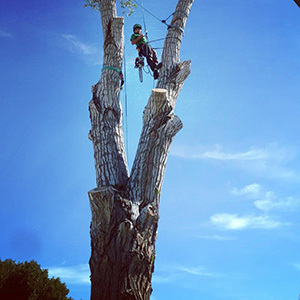 Trained in Northwest Oregon before returning to Grand Junction, Colorado, owner Justin Drissel used his tree climbing skills and forestry knowledge to open his tree service company in 2008. Big Horn Tree Service is dedicated to preserving our urban forests for the environment for today and the future. Justin has also received his Certified Arborist designation and looks forward to helping you with all your needs. Call Big Horn Tree Service today for any tree related services. *We work with local utilities companies and crane services to ensure safety of people and property. Cash Discounts, Senior Discounts, Referral Discounts, and Free Estimates! Thank You for requesting a quote. We will contact you with your quote or any questions.